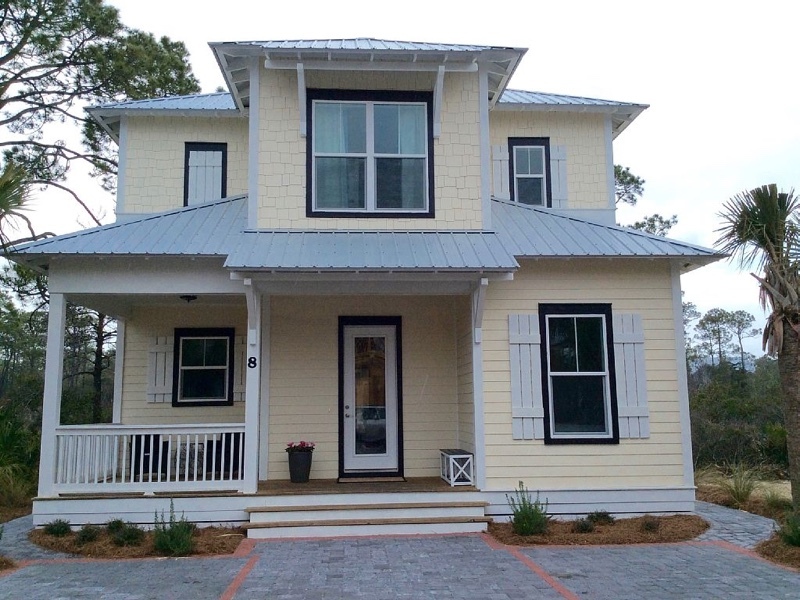 Endless Memories is a Brand New 4BR/4Bath Home with Luxury Furnishings. 2 Sets of Beach Chairs/Umbrella Set-Up Included!!! This brand new luxurious home is located on a quiet street that backs up to a secluded nature preserve in the sought after and private community of Seacrest Beach. It has everything you need for a perfect vacation. The home is within walking distance of the majestic 12,000 square-foot pool area and 800 yards from the panoramic turquoise waters of the Gulf. This home is located on 30A between the unique Alys Beach and Rosemary Beach which boast excellent restaurants and shopping all within walking distance. There are several bike rental options in the area. Pier Park located in Panama City is a short 20-minute drive. This home sleeps 10 which is suitable for one or two families. There are two 2 king beds, 1 queen and a full-sized bed bunkroom. All bedrooms have private bathrooms, blackout drapes and flat-screen HD Smart TVs. The beds are brand new and covered in luxury linens. We also provide 10 Beach Towels. The beach is a short 5-minute walk or you also have the option of catching the complimentary tram which runs from 9 am to 6 pm (March through October). When you walk through the front door you will find the open living, dining and kitchen area. The kitchen has all stainless steel appliances and a gas stove. The living room has a 6-seat dining room table and a 4-chair breakfast counter. The living room is an inviting and relaxing space with 2 couches, 2 chairs and a 55” HD Smart TV. The living area then leads onto a private and secluded large screened porch at the back. The porch has a sectional couch and dining area as well as a 32” HD Smart TV. The natural landscape area is great for the kids to play while you prepare dinner on the gas grill which is located on the outdoor patio area. Your privacy is unchallenged as this is one of the few homes that has vacant lots on both sides and backs up to the nature preserve. The Queen Bedroom is located on the first floor and includes an attached full bathroom. There is also a closet with space for luggage and clothing. On the second floor you will find the large master suite with a King bed and a 50” HD Smart TV. There is a desk for those that need time to get some work done while away. The large bathroom has a separate whirlpool tub and a large shower. This bedroom also has a private deck overlooking the nature preserve and is a great spot for enjoying morning coffee. There is a second master suite with a king bed and a 50” HD Smart TV and an impressive walk-in shower. The bunkroom is also on the second floor. The upper and lower bunks are full sized mattresses which are suitable for 4 kids. There is a 40” HD Smart TV in the room and a large closet. Our property manager lives within the community, so she will be your private concierge, provide you with all the local information you may need and will do everything possible to ensure you have a comfortable and enjoyable stay and take home ENDLESS MEMORIES.